Browse: Home / 2011 / April / Doctor Who Premieres Worldwide Tonight! Doctor Who Premieres Worldwide Tonight! The long-awaited sixth season of BBC’s Doctor Who is finally here! The season premiere airs tonight all over the world. 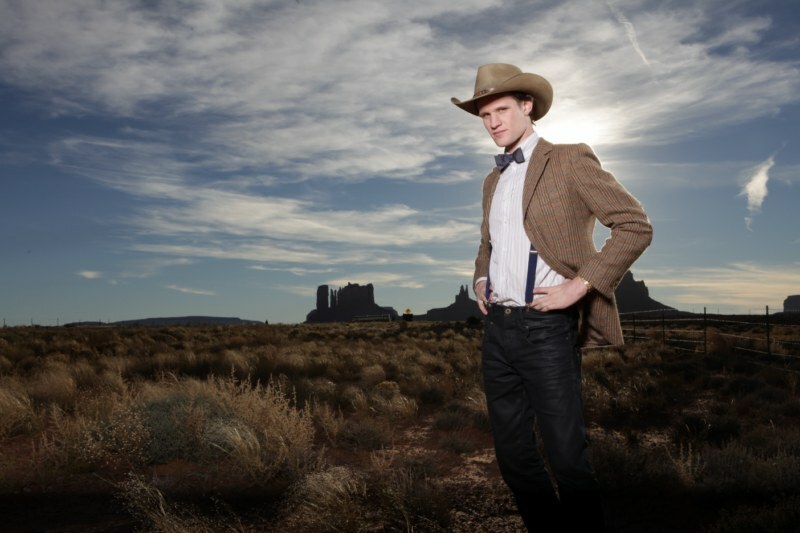 “The Impossible Astronaut” is the first of a two-parter, taking the Doctor (Matt Smith), Amy Pond (Karen Gillan), Rory Williams (Arthur Darvill), and River Song (special guest Alex Kingston) to outer space, the White House, and the American southwest. It’s the series’ first time ever shooting on location in the United States. Here’s how the network describes the story. As River would say … spoilers! Three envelopes coloured the Tardis’s distinctive shade of blue summon the Doctor, Amy and Rory to the middle of the Utah desert, where they are reunited with the enigmatic River Song. With the mysterious missives still unexplained, the time-traveller agrees to investigate further, and his quest takes him to 1969 – and an encounter with U.S. president Richard Nixon. “The Impossible Astronaut” is written by Steven Moffat and directed by Toby Haynes. 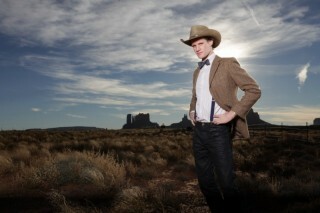 Doctor Who airs on BBC1 at 6 p.m. in the U.K. In the U.S., it will air at 9 p.m. (8 Central) on BBC America. And in Canada, the premiere airs at 8 p.m. Eastern (5 Pacific) on SPACE. BBC plans to air the first half of the season (seven episodes) this spring, then take a summer hiatus after a big mid-season cliffhanger. 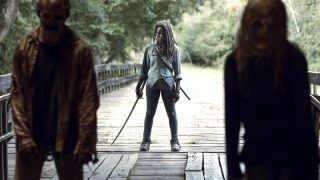 The final six episodes of Season Six will be along in the fall. After the episode is over, come on back to SciFi Stream and post your own mini-review inside our brand new Doctor Who series guide! You can also talk about the episode with fans from all over the world in the forum.